This trailer has a really interesting tone to it, what is clear is that it is going to be much darker than the previous two films. The special effects have an interesting style that is a lot different to the CGI you will see in other films of this kind. Fox are clearly aiming to set this reboot apart from the previous attempt at a Fantastic Four franchise. Spader’s voice-over on the Avengers 2 trailer served to introduce the villain, the narrator in this trailer is designed to give off a certain atmosphere. It is almost as if the narrator is giving a lecture to the audience, adding to the more serious tone of this film. 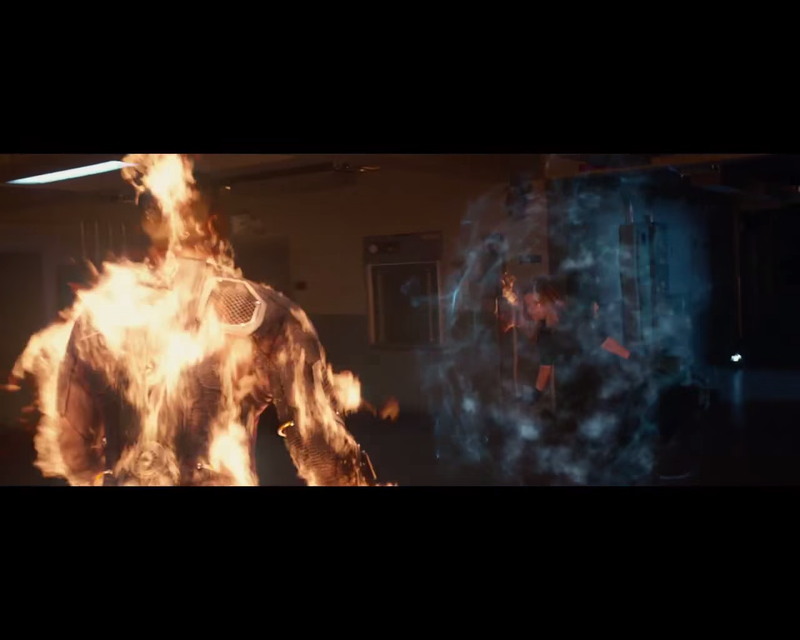 The powers look very unique, Johnny Storm’s powers appear to be more explosive and volatile than in the previous films. Also, The Thing appears to be much larger and even further removed from human appearance than the previous incarnation. This trailer has an obviously deliberate use of contrasting colours with a lot of darkness to create a visual style that is very Christopher Nolan. 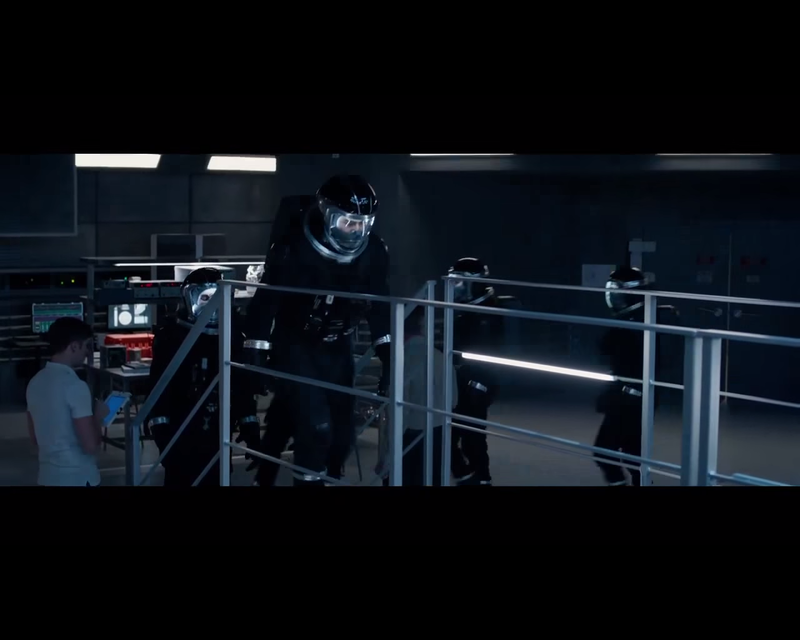 An aspect of this trailer that I really didn’t anticipate was the alien themes. 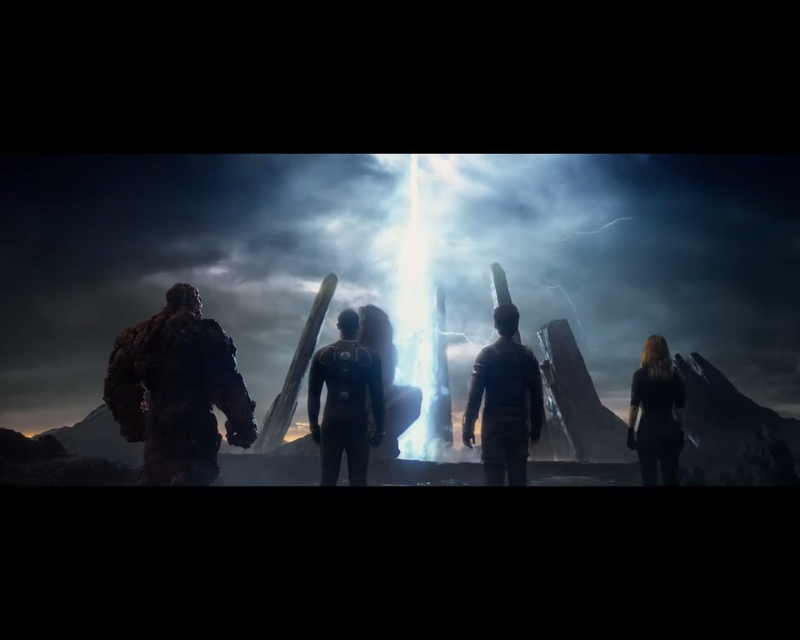 It seems the Fantastic Four may have had their powers bestowed upon them by some ancient alien force. The reason I say this is because there are a number of scenes in which the Fantastic Four are in action on the surface of a volcanic planet, without helmets or space suits I might add. There is then a moment in which Reed Richards is talking to someone in a hospital bed who tells him: “Be ready for what’s coming”. When Reed questions him on this he replies “Answers”. Immediately after this at 1:35 we get a shot of some kind of alien structure that looks like Stonehenge turned up to eleven, there is a beam of blue light blasting out of it into the sky with a plane falling into the beam’s point of origin. I like that they are changing it up a bit and not just sticking with the same material. I am now excited for the film when I wasn’t before because there is a whole new mythos to learn that wasn’t there before, aliens have never been a part of the Fantastic Four story previously. I now want to see the film just to find out what part aliens have to play and what that huge structure is at the end of this trailer. Obviously Fox knew that they had to change it up a bit or people who saw the previous two would feel they didn’t need to see this new reboot.